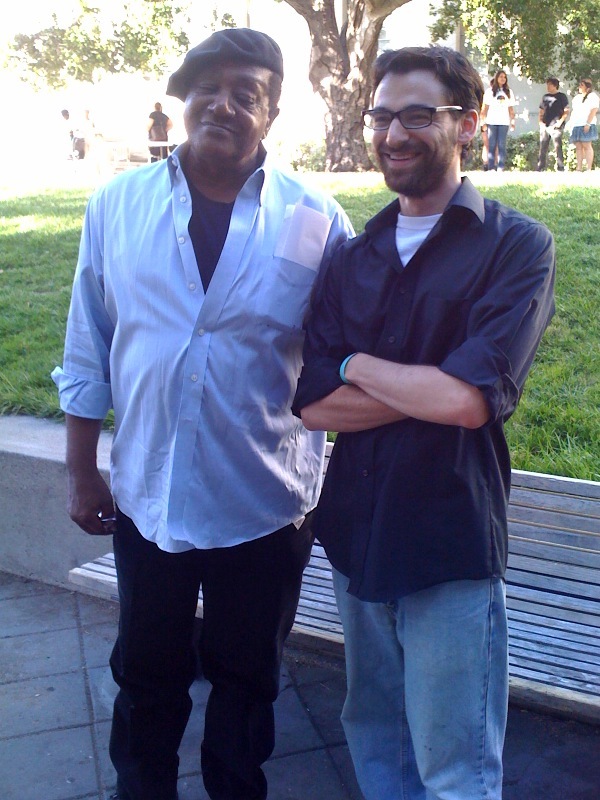 DC Scores interviews Split This Rock Coordinator, local poet, and activist Jonathan Tucker. Click on the link below to read the interview. The Examiner has given us more love by featuring yet another one of our poets! 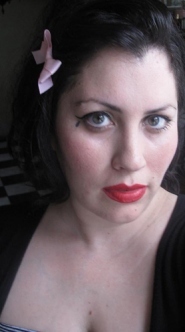 Venus Thrash, a featured reader for the 2012 Split This Rock Poetry Festival, has been profiled by the Examiner. Read the interview here. Jose Padua, a 2012 Split This Rock Poetry Festival featured poet, receives a special shout out from the Examiner. Check it out here. Support the DC Commission on the Arts and the Humanities and sign the petition to restore art funding. This year the art budget is only 0.034%. Ask Mayor Gray to help increase funding, and bring the arts back into DC. Sign here and show your support. JoAnne Growney blogs on poetry, mathematics, and featured poet Minnie Bruce Pratt! The poem "Someone is Up," as well as two other pieces, will be seen in the current issue of Beloit Poetry Journal. Check it out and support Split This Rock! Moe Ma Kha Plant was written by dissident Burmese poet Naing Win Swe, and edited by our very own, Melissa Tuckey, co-founder of Split This Rock. Read the rest of this inspiring poem here. Notebooks will be on sale at Split This Rock festival and at the AWP table N 7. Only $10.00. 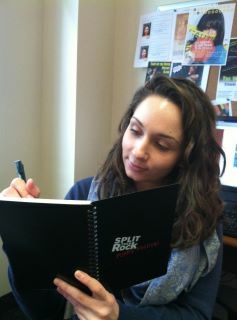 Check out the beautiful Alicia composing in her very own Split This Rock notebook! The Abortion Care Network (ACN), a national organization of independent providers and prochoice supporters, and Split This Rock, a national network of socially engaged poets, announce a poetry contest in conjunction with ACN’s annual meeting, to be held in May 2012 in the DC metro area. The experience of women who seek abortion and other reproductive services is as varied as the individuals involved. For some, there is safety, relief, and good medical care. For others, there is doubt, harassment, and stigma. For all, health care takes place in a politicized context in which even the most basic choices about our bodies, sexuality, and childbearing can be scrutinized. The ACN and Split This Rock welcome the submission of poems on these themes. We will award the following prizes: First ($100), Second ($75) and Third Place ($50), and Honorable Mention. Judging will done by Split This Rock and ACN. The first-place winner will read the winning poem at ACN’s annual meeting in May. The prize-winning poems will be published in the ACN’s quarterly newsletter, The Provider, in the conference program distributed to all meeting attendees, and on Split This Rock’s website at www.SplitThisRock.org. Poets from any part of the U.S. may submit poems, but we regret that no travel funds will be provided so that the winning poet may read at the meeting. · Submit up to 3 poems (6 pages maximum) by midnight, Sunday, April 1, 2012, in the body of a single email to: info@splitthisrock.org. · Attachments will not be opened. We will request Word attachments of finalist poems. · One entry per poet, please. · All styles and approaches accepted. · Previously published in print is acceptable, but, please, not on the web. · Simultaneous submissions accepted. Please inform us at info@splitthisrock.org immediately if the poem has been accepted for publication elsewhere. · Poets must be able to be in the Washington, DC, area in May, 2012 to read the winning poem at the annual meeting of the ACN. breathe the sharp air through sick-green lungs. and finds a steaming breast inside a footprint in the snow. She slips it into her glove, holds it close like a darling. the closest she will ever come to a Woman Thing. tucked between her legs. Her eyes flutter like a rocked doll. her hair moved like a hungry dog. to watch the Father lift her gown. In the morning, she is who she is again. in her lap. A death-blue fish with one stone eye. Order this special issue now from the BPJ website for only $5.00. The issue will also be available for sale at Split This Rock's table at AWP and at the festival. Rachel McKibbens is the author of Pink Elephant and is a New York Foundation for the Arts poetry fellow. She was an Urban Word NYC mentor, teaching poetry at Bellevue Hospital through The Healing Arts Program, targeting at-risk youth. She teaches poetry and creative writing throughout the country. 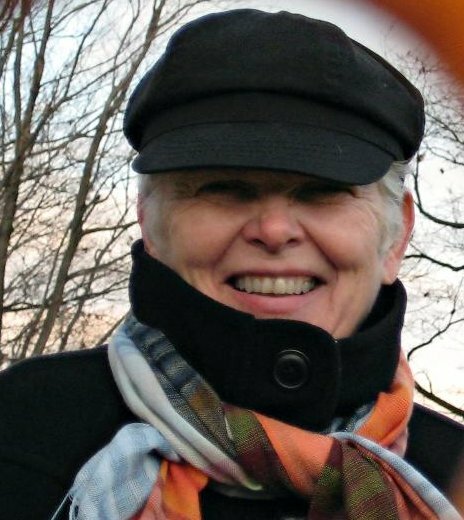 Her poems, short stories and nonfiction have been published in numerous journals and anthologies including World Literature Today, The New York Quarterly, and The American Poetry Journal. 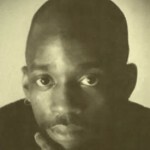 McKibbens will be reading at Split This Rock Poetry Festival: Poems of Provocation & Witness, March 22-25, 2012. Join us! guarding a house on the street of broken dreams. bee in the clover fumbling to find its damp-dirt home. with the blue light, CHASE, that stays on 24/7. weathered rocks and pile those up in the corner. the big finance company had to hide its sign, AIG. the neighbors stand and say:The world is ours, ours,.ours. Minnie Bruce Pratt's most recent book is Inside the Money Machine, described by one reviewer as "anti-capitalist poetics." Her previous book, The Dirt She Ate: Selected and New Poems, received a Lambda Literary Award. 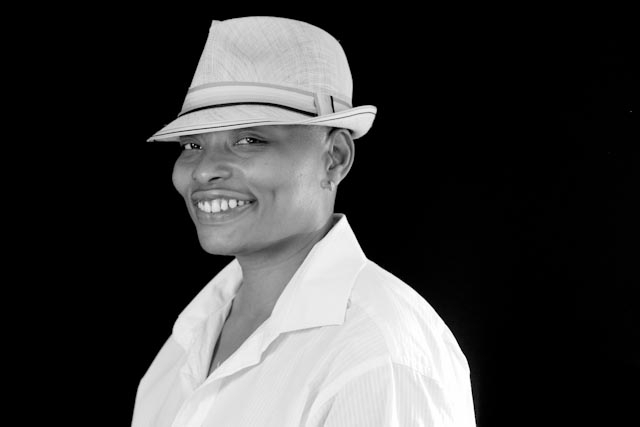 Her poems about her relationship to her sons as a lesbian mother, Crime Against Nature, were chosen as the Lamont Poetry Selection of the Academy of American Poets. A member of the National Writers Union, Pratt does anti-racist and anti-imperialist organizing with the International Action Center and its Women's Fightback Network. After 30 years of adjunct teaching, she is a part-time Professor of Writing & Rhetoric and Women's & Gender Studies at Syracuse University. Pratt will be reading at Split This Rock Poetry Festival: Poems of Provocation & Witness, March 22-25, 2012. Join us! Do not let anyone else pen your future, past or present. You must write your life into being. Words create worlds. 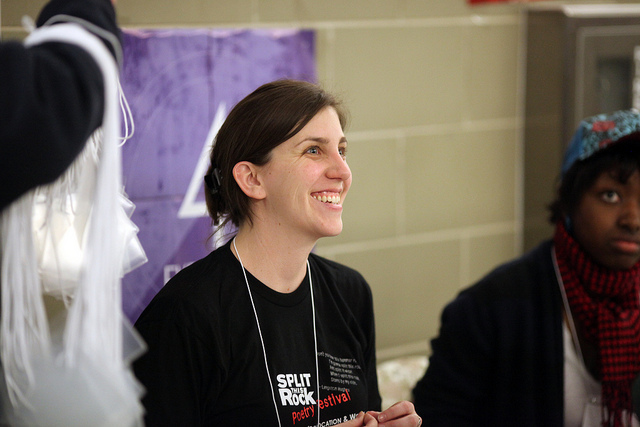 - Read the interview with Split This Rock Youth Programs Coordinator Jonathan B. Tucker here. Venue Czarina: Set up rooms according to the needs of the session, including posting the correct sign for current session. Check that all attendees have valid festival passes. Answer questions and help guide participants to appropriate rooms. Assist the session coordinator as needed. Ensure that all rules of the venue are observed. A cell phone is required for this position. Register/Check in: Responsible for cash handling/taking credit card info, checking student IDs, coordinating with organizers to hand over cash box when sales close. May help with signups for open mics. Info/Press/T-Shirt sales: Work alongside registration/check-in volunteers, to sell t-shirts and festival publications, hand out press packets/passes, and answer questions as needed. Responsible for cash handling/taking credit card info, coordinating with organizers to hand over cash box when sales close. If you are coming from out of town and can't make one of these sessions, please let us know. We're happy to accommodate you! Volunteers who work two or more 2.5 hour shifts will receive a free pass to the festival and a free Split This Rock 2012 t-shirt. Plus you'll meet wonderful, fascinating people and be a part of a movement of poets working for a better world. To volunteer or for more information, contact our Volunteer Coordinator Kaitie O'Hare at Kaitie.str@gmail.com. begins to tell its story from end to beginning . ..................again. Sherwin Bitsui is the author of two poetry books, Flood Song (Copper Canyon Press, 2009), and Shapeshift (University of Arizona Press, 2003). His honors include a Whiting Writers Award, a 2010 PEN Open Book Award and an American Book Award. 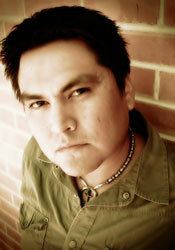 He is originally from Baa'oogeedí (White Cone, Arizona on the Navajo Nation). He is Diné of the Todich'íi'nii (Bitter Water Clan), born for the Tł'ízíłání (Many Goats Clan). 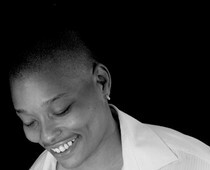 Bitsui will be reading at Split This Rock Poetry Festival: Poems of Provocation & Witness, March 22-25, 2012. Join us! E916: How did poetry become so popular in Washington, DC? What makes DC a poetry or a poetic city? SB: DC has a long and rich poetic tradition, to which we are all the lucky heirs. Walt Whitman spent the Civil War years in the city and the Harlem Renaissance poetry movement was launched here by Langston Hughes, Georgia Douglas Johnson, Jean Toomer, and others. DC was home to influential Black Arts Movement poets Larry Neal, Gaston Neal, and Amos Zu-Bolton, among many others. Essex Hemphill was the best known Black gay poet of that gorgeous generation tragically lost to AIDS, those who came of age in the 1980s. It’s no coincidence that most of these poets are African American, of course. Our city’s Black writers and artists have always nurtured and supported one another, developing a strong cultural voice that has been critical to the survival of the District’s Black community. Today is no different. Older poets mentor younger ones, communities of poetry form and dissolve and re-form. DC becomes a living center for oral poetry – the oldest of poetic forms – newly named “Spoken Word.” The District of course is also home to the federal government, an institution endlessly dissected and analyzed by the press and the popular imagination. Those of us who live here, in contrast, are often forgotten. We claim our place in the world, therefore, with poetry. Here is our story, our poems declare. Pay attention. For over sixty years of continuous publication, the Beloit Poetry Journal has worked to expand American poetic language and vision through its publication of international poetry and of work that challenges social, political, and aesthetic norms. The Spring 2012 issue of the journal is a chapbook of new poems of provocation and witness by featured readers at the 2012 Split This Rock Festival: Homero Aridjis, Sherwin Bitsui, Kathy Engel, Carlos Andrés Gómez, Douglas Kearney, Khaled Mattawa, Rachel McKibbens, Marilyn Nelson, Naomi Shihab Nye, José Padua, Minnie Bruce Pratt, Kim Roberts, and Venus Thrash. 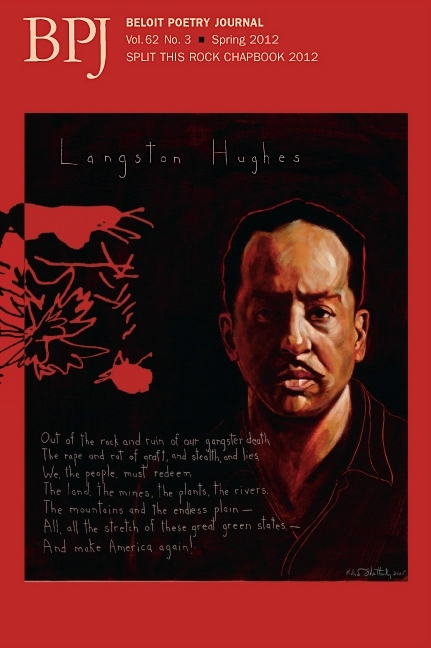 Robert Shetterly's probing portrait of Langston Hughes, from his portrait series Americans Who Tell the Truth, graces the cover. You can currently preview a handful of the poems on the BPJ website. Order this special issue now from the BPJ website for only $5.00. The issue will also be available for sale at the festival. A subscription to the BPJ costs just $18/year (4 issues); student discounts are available for classroom adoption. Visit the BPJ website to order, browse the full-text archive, or join the conversation with poets from the 2012 Split This Rock Chapbook on the Poet's Forum.